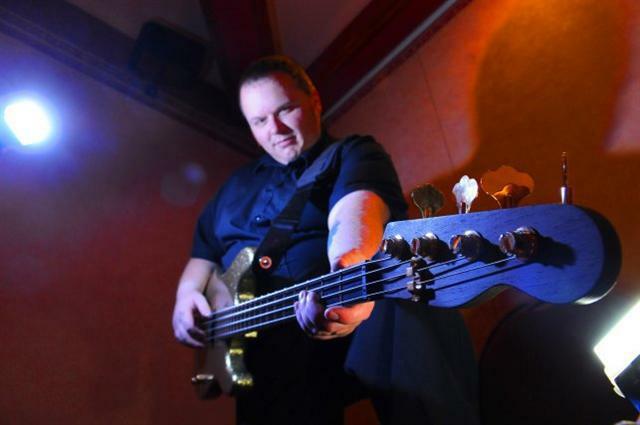 When I decided to order something from WarmothÂ it was because I had played many basses that Iâ€™d seen and heard in a lot of the bands I am into, and got close to, but they never exactly as Iâ€™d envisaged. It was time toÂ build a custom bass guitar. Iâ€™d always loved the early single coil precision bass look with the Telecaster neck which was used in two bands that I love â€“ ZZ Top and Stingâ€™s band so I decided to go for something along those lines. Anyone whoâ€™s ever been on the Warmoth website will know that itâ€™s the musicianâ€™s equivalent of a sweet shop so it was time to take my favourite parts of my favourite bass guitars and put them together. 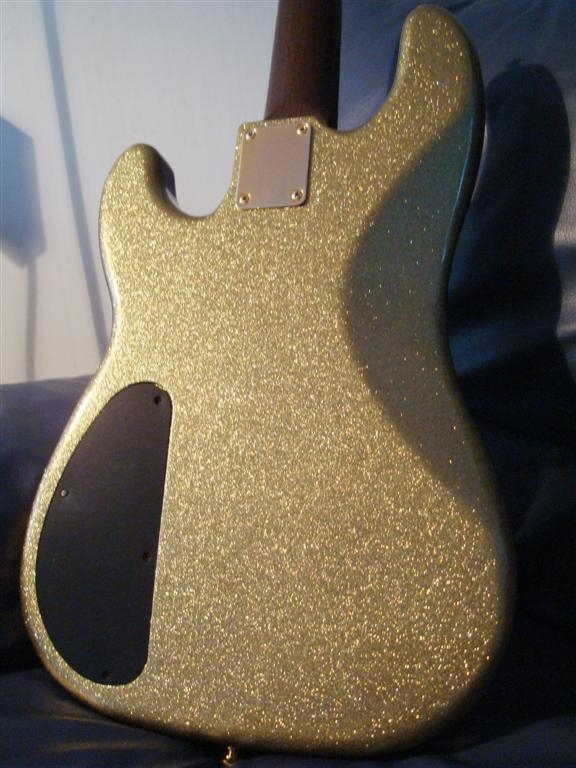 I began with a rear routed mahogany body as I loved the growl I got with the Stingray and I loved the silver sparkle of the Modulus so I decided to go the whole hog and get a gold flake finish. 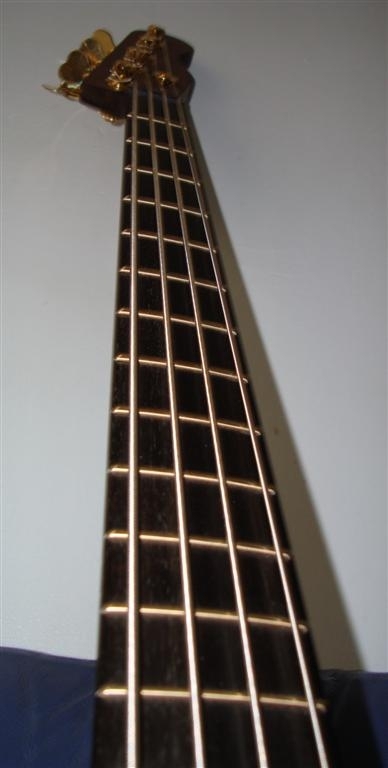 Next was the neck, so the obvious choice for me was the fast playing wenge from the Warwick and the ebony fretboard from the Bass Collection including no front dots as per the same bass. The pickup was a Seymour Duncan quarter pounder, Gotoh 201 bridge, Schaller BML tuners, Hipshot string retainer. 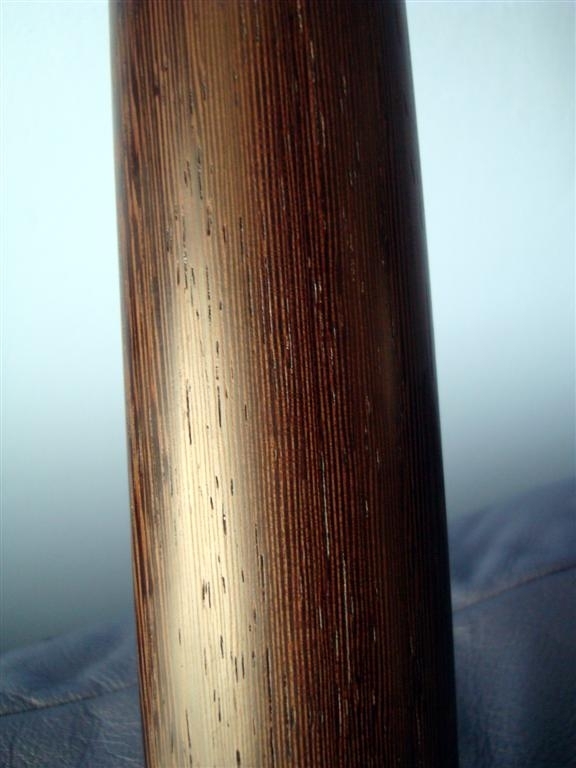 The products that Warmoth sell are widely regarded as easily being as good as Fender custom shop and I have to admit that everything was flawless with the tightest neck to body join Iâ€™ve come across. Itâ€™s actually very time consuming putting together a bass from parts as you want to put the best quality instrument together as you can but still want to shop around for the best prices. With there being over a dozen different parts to source other than the neck and body you can see how you can rack up the hours doing this. So now to the actual build. The first thing I did was to install the electronics, bridge and straplocks to the body as it was easier to work with just the body without the neck attached. 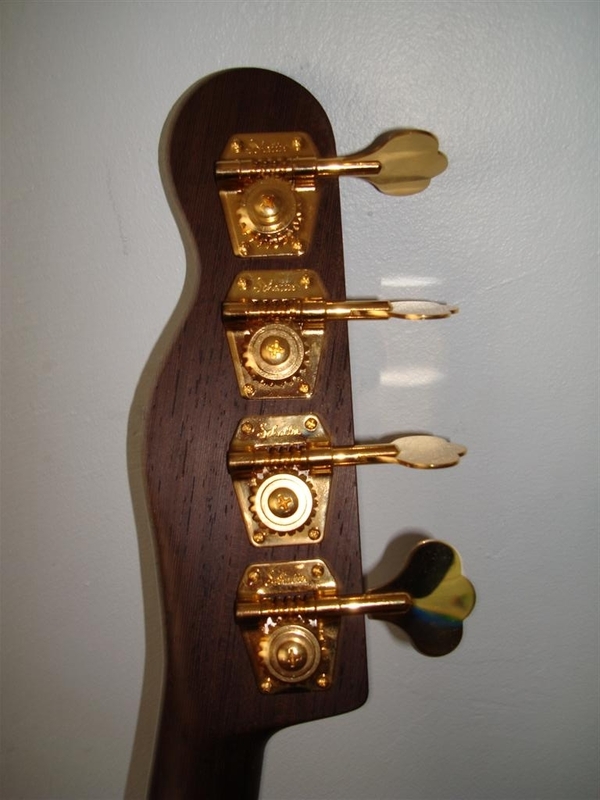 I then went onto fit the tuners, string tree and file down the area where the nut would go. For those of you that saw JANIII above and had no idea what that was, this is the Mk3 version of Warwickâ€™s adjustable nut. It comprises two parts, one part I applied two small blobs of superglue and stuck into the slot that I created for the nut. The second part just sits on top and the strings hold it on. 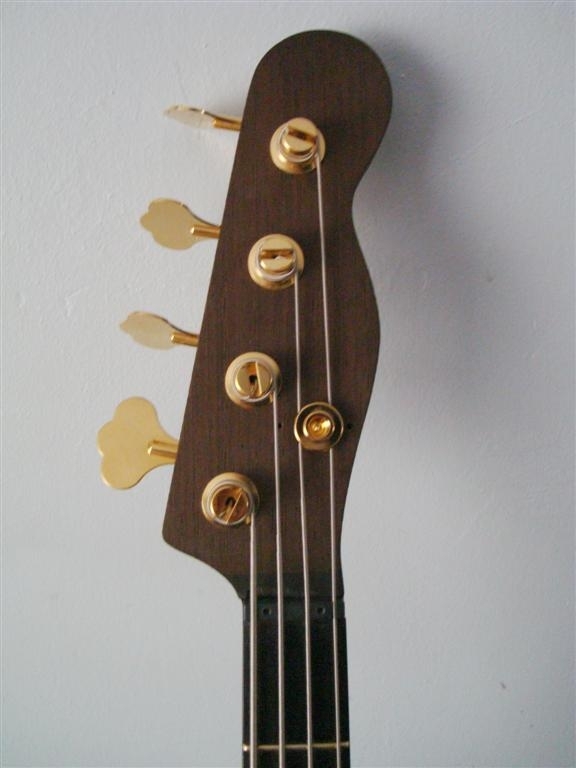 The beauty of this type of arrangement is that there is no filing down of the nut required, You merely adjust the height to suit your playing style and if at some point in the future you need to change it then you only need an allen key to do so. Next up I offered the neck into the neck pocket on the body. It was pretty tight but because both parts had come from the same manufacturer, they went together without any issues. I bolted these together naturally using a gold plated neck plate and gold plated screws in keeping with the rest of the instrument. At the time of buying from Warmoth they didnâ€™t offer graphite stiffening rods or slimmer profile necks so the neck was chunkier than what you can now buy. This didnâ€™t bother me as I played 5, 6, 8 & 12 string basses for a number of years so anything less feels like Iâ€™m holding a pencil by comparison. Because of the thickness of the neck and the steel stiffening rods I actually didnâ€™t have to tighten the truss rod at all and couldâ€™ve effectively taken it out of the neck. Once assembled and checked that the electronics were functioning properly, it was time to string it up. 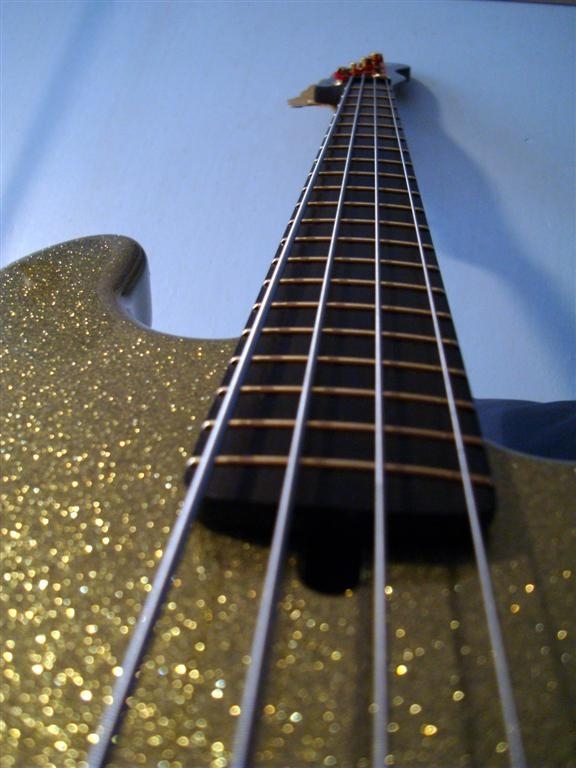 What else could I use but Optima 24k gold plated strings as favoured by the Ox from another one of my favourite bands, the Who. At the time I could buy these at Â£16 a set which was as cheap as a set of Ernie Balls. Theyâ€™re now around the Â£40 mark for a set. Once plugged in it was apparent that this was a huge sounding bass. It had the growl that I was expecting from the mahogany body and the high output pickup that nearly cause my amp to clip and it played effortlessly. Despite being a very simple bass with one single coil pickup, a volume and a treble control it sounded good regardless of the genre it was used. I used it in a wedding band but also in a rock band through a Gallien Krueger 700RB II into a Schroeder 1212L 2×12â€ cab and it cut through so well but there was something missing. After listening to Sting I had to find something that would sound more like that and an original â€™57 single coil wasnâ€™t something I was going to find easily or cheaply and then I discovered that Stingâ€™s 57 single coil is actually fitted with a Seymour Duncan Custom Stack pickup. After only a few days I found one on Evilbay in the US for Â£50 delivered which was a lot cheaper than the Â£100+ Iâ€™d seen them going for. It was a bit taller than the quarter pounder due to it being a humbucker but it fitted right into the cavity no problem. 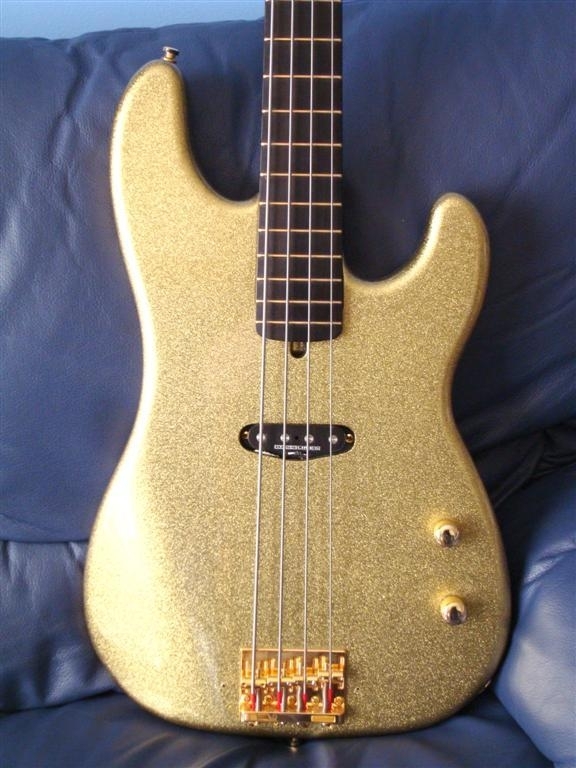 And there it was â€“ the brightest, blingiest, growliest bass that Iâ€™d ever owned and it played so well. If the back of the neck ever got sticky from playing then a quick rub with 000 grade steel wool and it was as smooth as a very smooth thing. 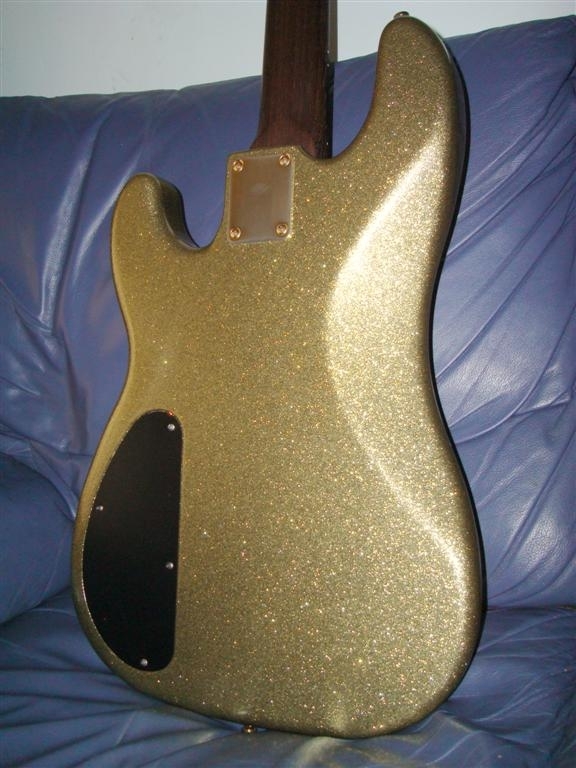 This entry was posted in Blog, Gear and tagged custom bass guitar, single coil bass, warmoth. Bookmark the permalink. ← Squier Classic Vibe 50’s Telecaster, my pal.